"Metamatic Records’ first major compilation of John Foxx material is the first part of a double release spanning 35 years as a solo artist. 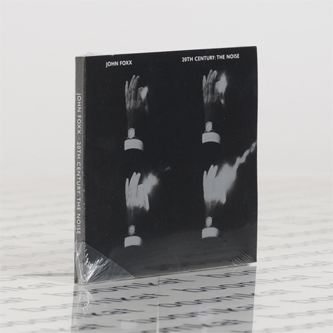 John Foxx – 20th Century: The Noise covers the years from his debut single ‘Underpass’ in January 1980 to the rest of the last century, up to his ‘comeback’ albums with Louis Gordon, Shifting City and The Omnedelic Exotour in 1997 and 1998. There’s also a precious Cathedral Oceans gem, ‘Splendour’ which has only ever been available on a rare album by various artists entitled Orphée and 20th Century also includes an unreleased instrumental track from the vaults, ‘Musique Electron’ – a melodic idea Foxx has had ‘for decades’. The Metamatic material is taken from the new 2014 master which is based on a set of 1979 analogue tapes recently discovered in John’s archive.20th Century also includes a Foxx/Gordon version of ‘Hiroshima Mon Amour’, a track that featured on Ultravox’s second album, Ha! Ha! Ha!"